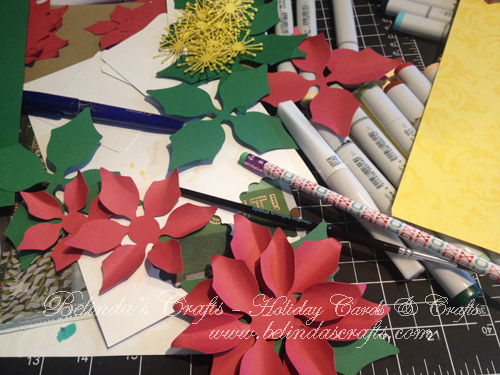 Good evening and welcome to day nine of my 12 Days of Holiday Cards and Crafts! Well the internet problems from earlier this week have been resolved but today, I couldn’t post from my machine. Hence the late post. I apologize. Today is a holiday craft I made using my Silhouette. If you know anything about me is I love me some flowers. I was thrilled to see all the different paper flower files that are on the Silhouette store. 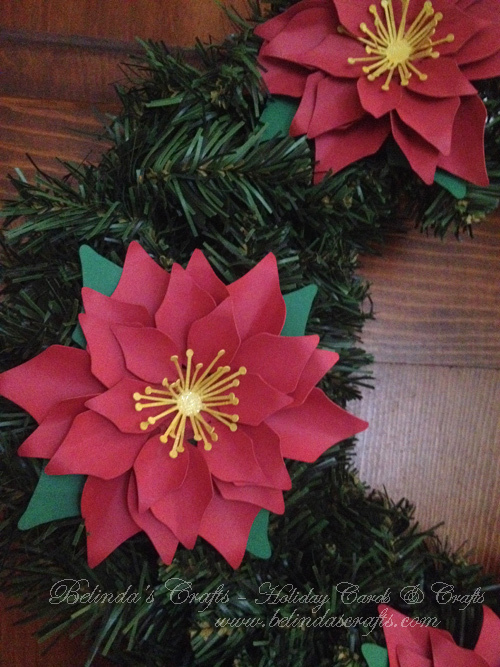 I found these poinsettia flower files and just had to have them. In the first photo I showed you the flowers looked like before I assembled them. The funny thing is that I have a really nice flower curling set I bought over a year ago and of course today when I am actually making flowers, I can’t find the tools. So I used a pencil and a paint brush and improvised. It was actually relaxing shaping and curling the petals. 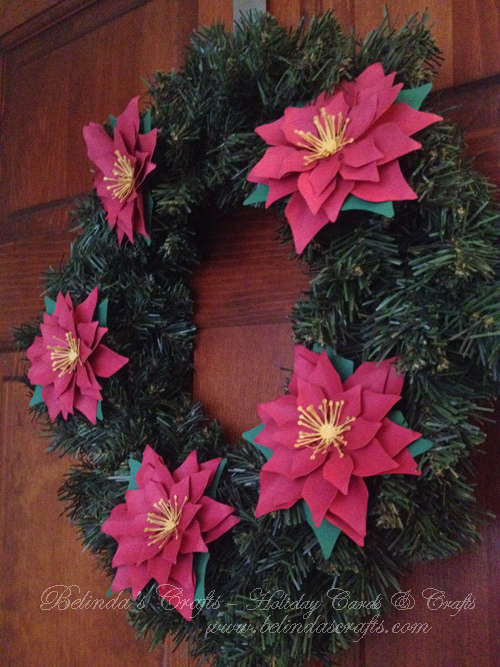 I cut out six flowers but I liked the look of 5 on this wreath I picked up at Michael’s for $2.50 on sale. The stamen came with the cut file and I used yellow paper and then put some Wink of Stella on them for added sparkle. 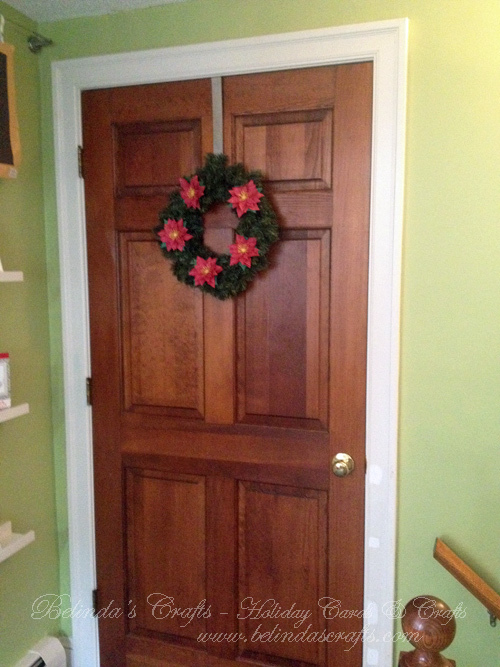 I adhered them to the wreath with glue dots instead of my hot gun so that if I want to change them, it will be easy. I like how it looks in my craft room. I hope you all had a blessed day and I will be back with day ten tomorrow.